It's that time again! 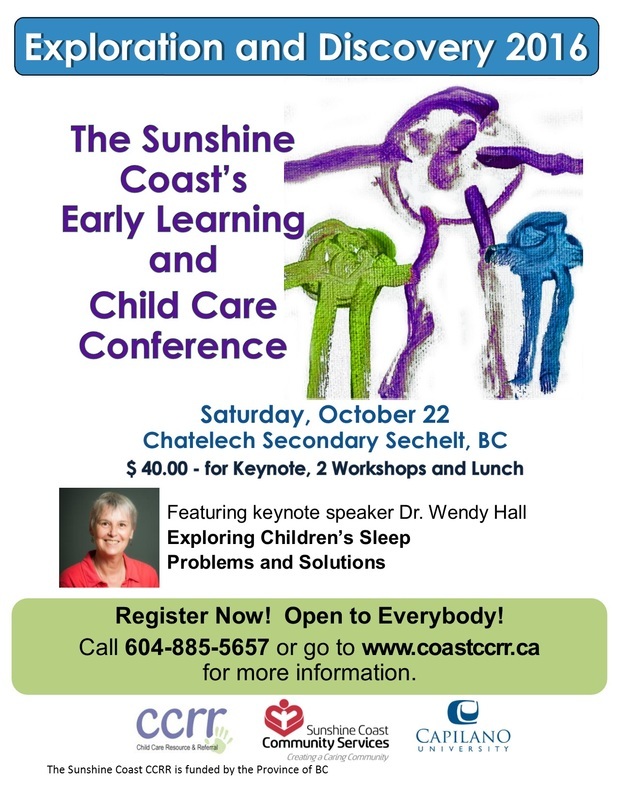 Registration is open for our annual Exploration and Discovery Child Care Conference. Click here for a FULL CONFERENCE BROCHURE. It contains all the information you'll need about the conference, including workshop descriptions and registration information. Click here for a REGISTRATION FORM. You'll need to complete this form in order to register. ​If you have any questions whatsoever, please don't hesitate to call us at 604-885-5657.